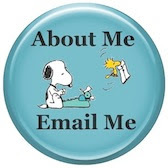 Reading Rumpus is so excited to welcome guest poster and author extraordinaire Kate Messner! She is here to talk about read-aloud books for the first days of school, including her wonderful titles: Sea Monster's First Day and Sea Monster and the Bossy Fish. 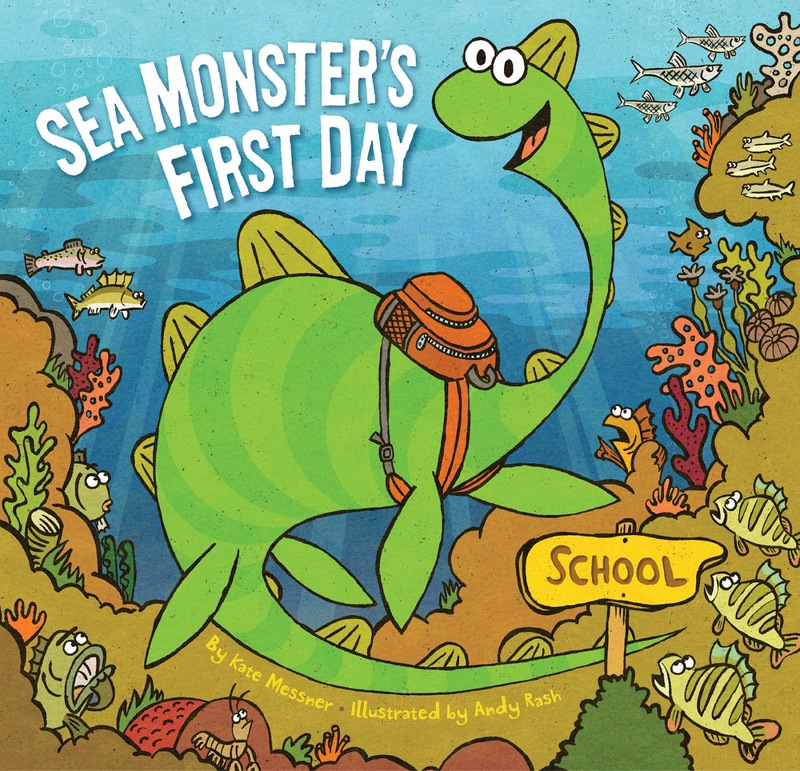 I’ve gotten a lot of emails from teachers and librarians this summer, letting me know that SEA MONSTER’S FIRST DAY and SEA MONSTER AND THE BOSSY FISH are on tap for read-aloud time during the first days of school. Nothing could make me happier. 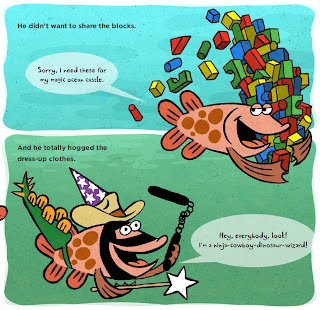 In SEA MONSTER’S FIRST DAY, Ernest the Sea Monster faces the challenge and anxiety of starting a new school (of fish!). Like all students, he worries about getting lost, where to sit at lunch, and making new friends. 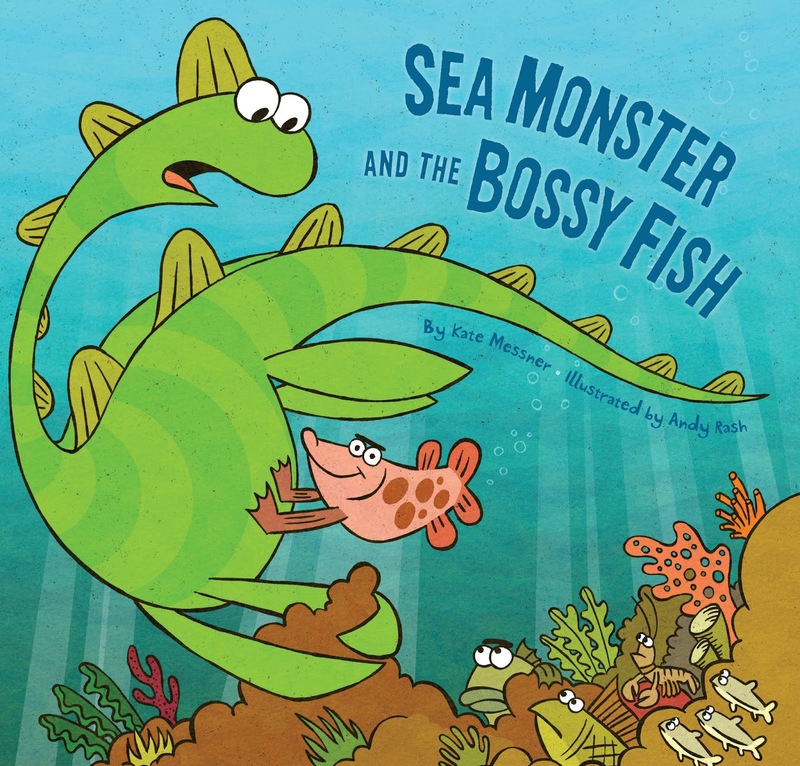 Teachers have told me that this book is a great way to launch classroom discussions about all those first-day jitters, while SEA MONSTER AND THE BOSSY FISH lends itself to conversations about bullying and exclusion in the classroom and on the playground. In his second adventure, Ernest the Sea Monster encounters a new fish whose behaviors range from mildly bossy to downright bullying. When the new fish decides to start his own club and invite only some of the fish to join, Ernest has to be creative. He finds a way to include everyone – and to teach the new fish how to be a better friend. This title invites kids to consider how they would react in similar situations. 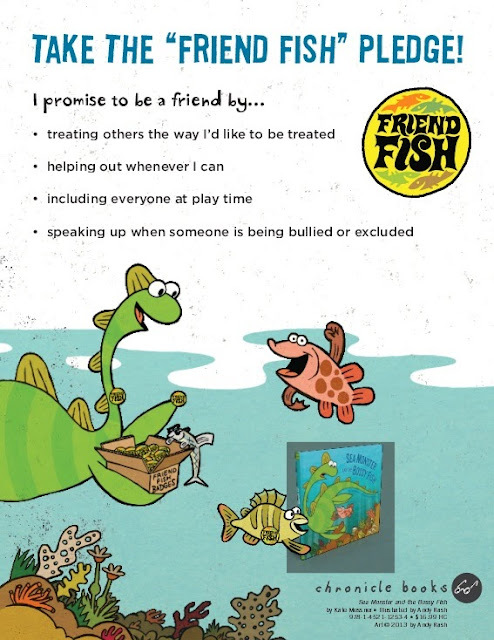 Role playing activities are a natural extension, and kids can even take the special “Friend Fish Pledge” and promise to make their own classrooms friendly, inclusive places. What other titles should be in the read-aloud pile as we start the 2013-2014 school year? ❏	READY FOR PUMPKINS by Kate Duke is a fresh take on the traditional fall pumpkin harvest story. Narrated by a classroom guinea pig named Hercules, this book not only shares a fun story but is also a perfect springboard for inviting students to write in the voice of their own classroom pets. ❏	HAPPY LIKE SOCCER, written by Maribeth Boelts and illustrated by Lauren Castillo, opens with the bright, vivid action of a neighborhood soccer game – familiar scene for so many kids – but goes beyond that to explore one player’s home life and her longing for her busy-at-work aunt to see her play. This is a great book for building empathy and reminding kids that their classmates come from all different backgrounds. ❏	BECAUSE AMELIA SMILED by David Ezra Stein is the perfect book to launch a classroom conversation about acts of kindness and how much of an impact they can have on a classroom community. In this story, a little girl’s smile as she walks down the street has a ripple effect that stretches all around the world. ❏	STUCK WITH THE BLOOZ by Caron Levis and illustrated by Jon Davis reminds young readers that not every day can be the brightest day of the year. In this story, a girl is visited by the Blooz, a glum, lumpy, and charmingly literal representation of a blue mood. The creature follows her around the house until she takes it outside to play and then, finally, going over a bump on her bike, it flies off and away. It’s a great book to make kids aware of feelings and give them ideas for what to do with a bad day. ❏	THINK BIG by Liz Garton Scanlon and illustrated by Vanessa Brantley Newton is a book that celebrates the arts. Its bold bright colors and strong, simple rhymes (“Thick paint…Deep hue…Bow stroke…One, two…) represent everything from cooking and photography to pottery and theater. It’s short and sweet – a perfect read-aloud to inspire kids on the first day of art class. 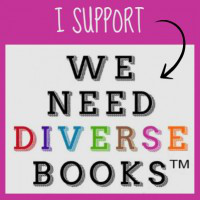 My Two Cents: Great illustrations, character development, and fun! A must read for kindergarteners and first & second graders will like it too. Have your students take the pledge to be a "friend fish." Just click to enlarge the picture below and print! 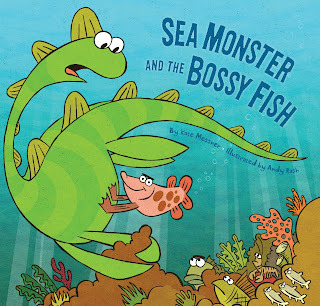 Publisher's Blurb for Sea Monster & the Bossy Fish: "Being kind is a big job, but nothing's too big for a sea monster. Not even taking on the new fish in school, who's great...except when he's pushing people around. This funny, charming twist on dealing with a bully will reassure and delight the smallest children and the biggest sea monsters alike." 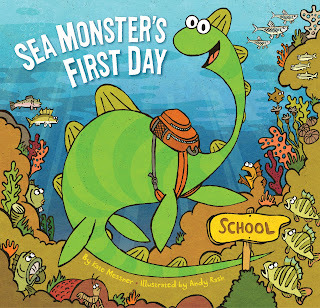 Publisher's blurb for Sea Monster's First Day: "Sea monster Ernest is starting his first day of school. But starting school is a big job! Fitting in when you’re a sea monster is tough enough, and there’s so much to learn and do—reading, singing, playing hide-and-seek with the fishermen, lunchtime in the algae patch….This funny, charming twist on the worries and joys of starting school will reassure and delight the smallest children and the largest sea monsters alike." Not enough? 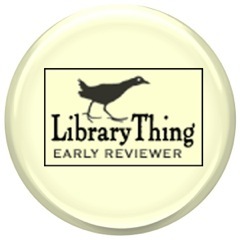 You can find more good stuff on the "Making Fishy Friends Blog Tour"
To top it off, Chronicle Books is celebrating the blog tour with 30% off and free shipping until Sept. 26th, 2013. Use the code SEAMONSTER. Kate Messner is a National Board certified teacher who taught middle school for fifteen years. Her award-winning writing includes novels, chapter and picture books. You can read more about her on her website or on Twitter. For more info on illustrator Any Rash you can visit his blog or website. You can also read more about the picture book creation process between Kate & Andy on the Chronicle Blog.